Ever heard of the Pink Panther? Of course you have. But Pink Panther milk? Perhaps not. 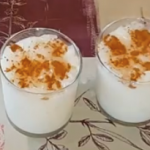 Leche de Pantera (white panther milk) is one of Barcelona’s most impressive traditions. 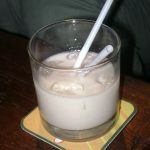 It dates all the way back to the 1920s when General José Millán-Astray (head and founder of the Spanish Foreign Legion) was looking for a drink that was easy to make, and easy to drink. Rumour has it that the General approached Perico Chicote (a barman in Madrid) with this impressive challenge. And so, using condensed milk, gin, and water, Leche de Pantera was born. But this is only one side of the story. In fact, many even discount this tale and instead trace its origins back to within the Spanish Foreign Legion itself. Some say that soldiers confined to their sick beds would secretly mix medicinal alcohol and condensed milk to help them through recovery. Those that could walk around would use gin or any other spirit that they could find. Fast forward to 1975 when La Barretina (an old bar opened by a former Spanish Legionnaire on the city’s Carrer de la Mercè) began serving Leche de Pantera. The stuff was so strong that the hundreds of students who indulged themselves in this traditional tipple were often sick right outside La Barretina itself! But the neighbouring bar Tasca El Corral didn’t much like how La Barretina was making the drink. So instead, the owner decided to make his own. But how could he differentiate between his Leche de Pantera and that of his neighbour? By making it pink of course! 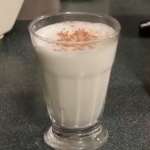 His version is far less powerful and much more tasty and some thirty years after making his first batch, the bar’s take on this traditional drink is just as popular as before! You can still drink this delicious beverage at Tasca El Corral in the city’s gothic quarter, or try La Oveja Negra just off La Rambla.